With upstate New York being overcast (as usual for most astronomical events!) 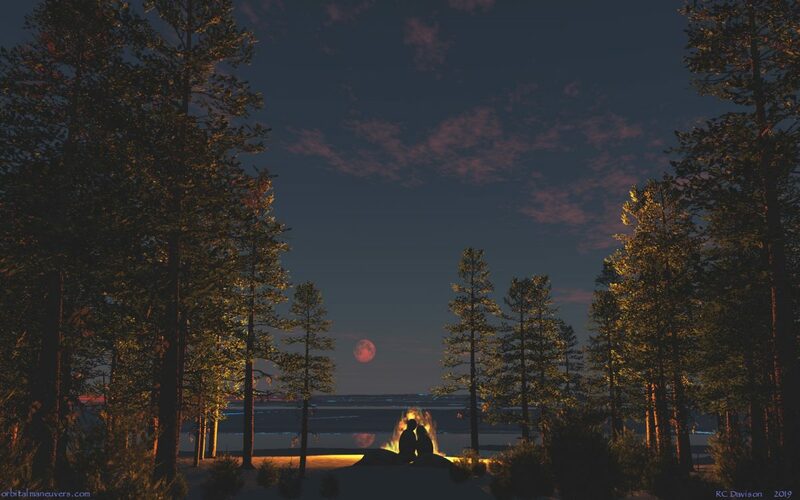 on the night of the total lunar eclipse on January 20, I decided to make my own and added a bonfire to keep warm. We had a great time! This artwork is copyright © Ronald Davison. All rights reserved.